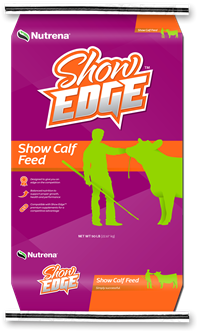 Show Feeds The healthier the show-animal, the prouder the show-animal parent. 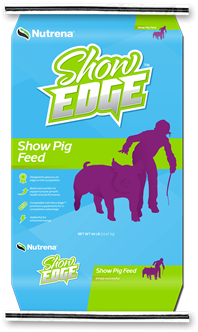 Nutrena show feeds are specially formulated for the unique nutritional needs of your favorite show animals. When they’re healthy, it shows. That’s why every last ingredient counts. 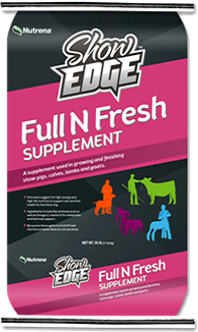 A simple nutritional program designed to give you the edge in the show ring with your calf! 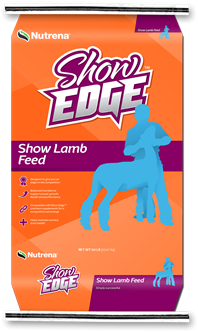 A simple nutritional program designed to give you the edge in the show ring with your lamb! 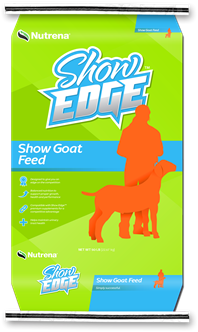 A simple nutritional program designed to give you the edge in the show ring with your goat! 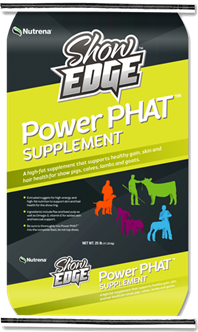 A high-fat supplement that supports healthy gain, skin and hair health. 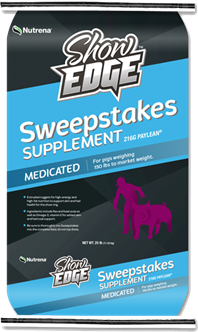 A medicated supplement designed to be fed with Show Edge Show Pig Feed after 150 lbs bodyweight for improved leanness, daily gain and feed efficiency.